As the world of eSports is continuing to grow, placing real money bets on video games is day by day becoming a more and more popular form of entertainment. With the release of PUBG, Battle Royale betting was introduced for the first time, which is a betting category that the highly popular Fortnite, another Multiplayer Online Battle Royale video game, has now joined. With the incredible news of Epic Games offering $100,000,000.00 in tournament prize pools the first competitive season of Fortnite, the eSports scene in the game has sky rocketed. Even though this has happened, there are however not that many bookmakers offering Fortnite betting on the tournaments going down. With this being said, some of the best eSport operators currently around luckily are and as the scene is growing bigger, we can expect that more bookmakers will shortly follow their example. The future of betting on Fortnite is looking tremendously good and if you’re interested in taking the excitement of watching the competitive matches to a new level by having a bet placed, there’s definitely no stopping this. In the following guide we will take a closer look at this as we examine the betting future of Fortnite as well as its history. 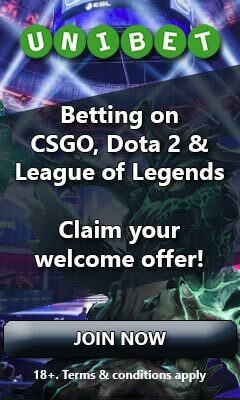 Before doing so, we will however introduce you to the best eSport betting sites that are currently offering Fortnite bets. Wagering money on eSports is nowadays a common form of entertainment for many gamers looking to spice up their daily lives and sometimes also making some money while doing so. 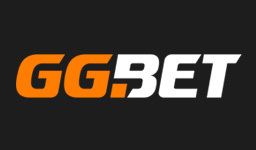 This has resulted in plenty of different eSport betting sites to choose from. Most of these are however not yet offering the possibility to bet on Fortnite. Fear not though, because some of the most top notch operators are. In the below list we have posted all of the best bookmakers currently offering Fortnite odds and mentioned their strengths and weaknesses so that you’re able to easily pick the site that is best suited for you. No matter which you pick, they are all great choices guaranteed to give you a great experience of placing some action packed bets on Fortnite. When Fortnite Battle Royale (FBR) was introduced in September 2017, the game immediately received huge recognition from the gaming community. Just four months after the initial release, an impressive number of 40 million downloads had been recorded. On the 8th of February this year, Epic Games, the creators of Fortnite, also reported that a stunning number of 3.4 million people had been playing the game at the same time. If this isn’t enough to showcase how fast this battle royale title became extremely popular, it all becomes very clear when looking at the number of Twitch hours viewed on Fortnite. In March 2018, the game was topping the charts with more than twice as many hours watched as its biggest competitor, PUBG. On top of this, Fortnite was also beating well established eSport games such as Dota 2, CS:GO and League of Legends, which is quite impressive. With numbers like these and in an age where competitive games are becoming eSports overnight, it was just a matter of time before we would see this highly rivalrous and entertaining game to watch thriving as an eSport and after that real money betting on Fortnite would just be around the corner. Many competitive organizations knew this and teams such as the world renowned Faze Clan, Team Solo Mid and Method had therefore already formed roosters with players ready to compete at a professional level. It wasn’t just the popularity of the game and the highly competitive characteristics of it that created the notion of an eSports scene, but a company highly invested in eSport games also made an announcement in April 2018 that they had acquired exclusive distribution rights to Fortnite in China. This company was no other than Tencent, which owns the incredibly successful League of Legends and have shares in the corporations behind other popular eSport games such as Overwatch, Heroes of the Storm, Hearthstone and Call of Duty. In May 2018 all suspicions came true as Epic Games released the stunning news that they were going to offer a total of a hundred million dollars in tournament prize pools for the first competitive season of Fortnite. To put this money in perspective, this was almost twice as much as the incredibly popular CS:GO had had in tournament prize pools over six years. The amounts were incredible to say the least and as soon as the news hit, it was very clear that Fortnite bets were soon going to be offered by bookmakers. All it took was for the competitive tournaments offering high prize pools to get started, which begun happening in July 2018 as solo players were cashing in more than a hundred thousand dollars from winning solo events. These days it’s possible to find real money Fortnite betting on many of the lucrative tournaments taking place. It is however only operators really focused on eSports that are currently offering these odds and it’s therefore not that commonly seen. This is to no surprise as the eSport industry as a whole isn’t nearly as big as traditional sports and on top of this the tournaments in Fortnite hasn’t been around for that long. As the eSport industry is growing (which it certainly is year by year) and the scene in Fortnite is establishing itself a bit more, we can however be sure that more bookmakers, and not only eSport oriented ones, will be offering bets on Fortnite matches. With a hundred million in prize pools and the game constantly topping the charts on Twitch, there are many hungry fans looking to spice up the excitement by having a few bets place. It may take some time for traditional bookmakers to realize the potential in offering Fortnite bets, but as soon as they do we certainly believe that the game will be one of the most commonly seen ones at the online bookies. If it is and if Fortnite attracts a record number of bettors, this will be awesome news for all of us looking to bet on the game as we’ll have a wider selection of odds, markets and betting bonuses to choose from. Please note that we will carry out regular updates to this betting guide as the competitive scene in Fortnite develops. This way you’re always able to find the latest and best information about Fortnite betting and the operators offering odds on the game.